Even if a Root Canal Won't Work, This Procedure Could Save your Tooth - River Place Dental, Inc.
By River Place Dental, Inc.
A root canal treatment is a highly effective way to save a deeply decayed tooth. Sometimes, though, complications make it difficult or even impossible to perform the traditional procedure. In those cases, we may need to use a different option. Tooth decay becomes an imminent threat to a tooth's survival if it works its way into the pulp, the innermost layer of a tooth. It's only a short advancement from there into the roots by way of the root canals. In a typical root canal treatment, we access the pulp by drilling a small hole in the biting surface of a back tooth or the back side of a front tooth. We remove all the tissue within the pulp and fill it and the root canals with a special filling to prevent re-infection. After sealing the access hole, we cap the tooth with a crown to further protect it. Although root canal treatments have a high success rate, re-infection can still occur. 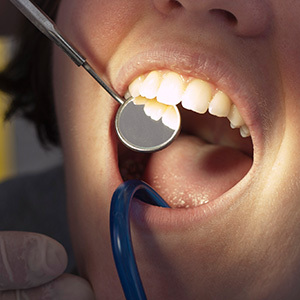 Often, a second root canal will save the tooth from the new infection. In some cases, though, using the traditional procedure might do more harm than good. It's possible we may find extra canals previously undetected branching out from the primary canal at the root end. Canals can calcify and narrow, making them extremely difficult to fill. Subsequent dental work may also prove troublesome: we would have to take the restoration apart, which could further weaken the tooth. The alternative is a procedure known as an apicoectomy. Instead of accessing the pulp through the crown, we access the root end through the gum tissue. We then focus on removing infected tissue at the tooth's root end, along with a tiny amount of the root tip. We then place a small filling at the end of the root canal (essentially plugging it up) to prevent further infection. We may also perform grafting to encourage bone growth in any voids left by the procedure. Endodontists, specialists in root canals, have the advanced training and specialized equipment to perform an apicoectomy. With their expertise, they may be able to save your tooth with this specialized procedure when a root canal treatment won't work.